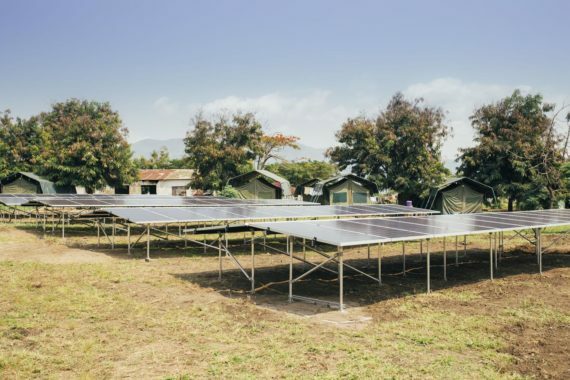 Microgrids Archives - Solar Love! Spurred by state mandated renewable energy goals, Panasonic, Xcel Energy and Younicos have formed a public/private partnership with the city and county to promote a microgrid centered around the Peña Station NEXT, a 382 acre transportation hub located near Denver International Airport. The Xcel Energy feeder for Peña Station NEXT already has 20% solar penetration and is expected to have 30% solar penetration by the time the microgrid project is completed in the first half of 2017. The project will feature a 1.6 megawatt carport solar system, a 259 kW rooftop solar array installed mounted on top of the Panasonic Enterprise Solutions Company’s building and using Panasonic HIT solar panels, and a Younicos 2 megawatt/2 MWh lithium ion battery system with inverter and controls. The battery storage component will be integrated into the company’s innovative Y.Cube system. Panasonic’s Denver operations building, which has an intelligent building energy management system, will serve as the initial anchor load for the microgrid. 5) backup power for Panasonic’s network operations center. “As part of Xcel Energy’s Innovative Clean Technologies program in Colorado, we’re eager to demonstrate how energy storage can integrate more solar energy on our system. We’ll also examine how battery systems can become more cost effective by supporting the grid and providing reliability for customers,” said Beth Chacon, director grid storage & emerging technologies at Xcel Energy. If Neighbor A has solar panels on the roof that generate excess electricity, that power cannot legally be sold directly to Neighbor B. But it can be sold to a microgrid which then parcels it out to others willing to buy it. Keeping track of who is buying what and when can be tricky. But an innovative partnership between LO3 Energy, a technology firm that focuses on distributed energy initiatives, and Consensus Systems, a blockchain venture developer, has created what they call a TransActive Grid in Brooklyn, New York. India, like sub-Saharan Africa, has hundreds of millions of people who live without access to reliable electricity. Most of their power comes from burning kerosene, wood, coal, and cow manure — sources that create serious pollution, especially when used indoors. Power from local grids is often cut off unexpectedly. That leads to serious problems for the healthcare community. Having no electricity means there is no refrigeration to store vaccines and drugs, or to make ice for cooling humans and storing food. There is not enough light for safe childbirth and no way to charge cell phones — a critical lifeline in rural areas during emergencies — or to run fans and water pumps. We often report on enormous new solar power installations, facilities that generate megawatts of power. 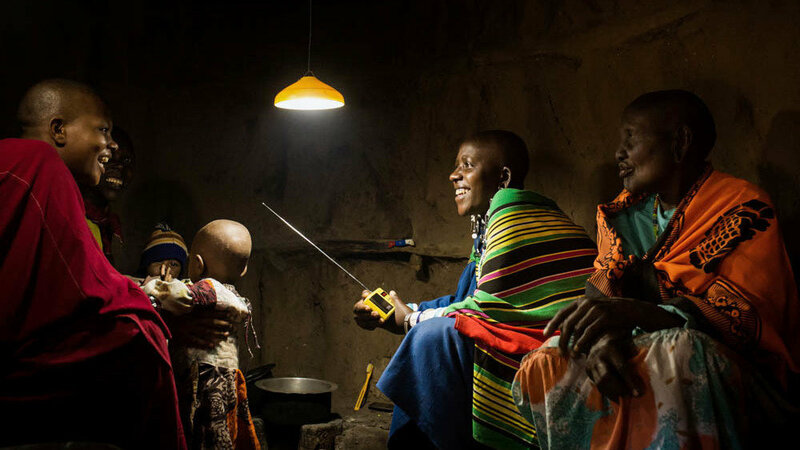 But solar can also bring important benefits to people even if it is just a few watts at a time. 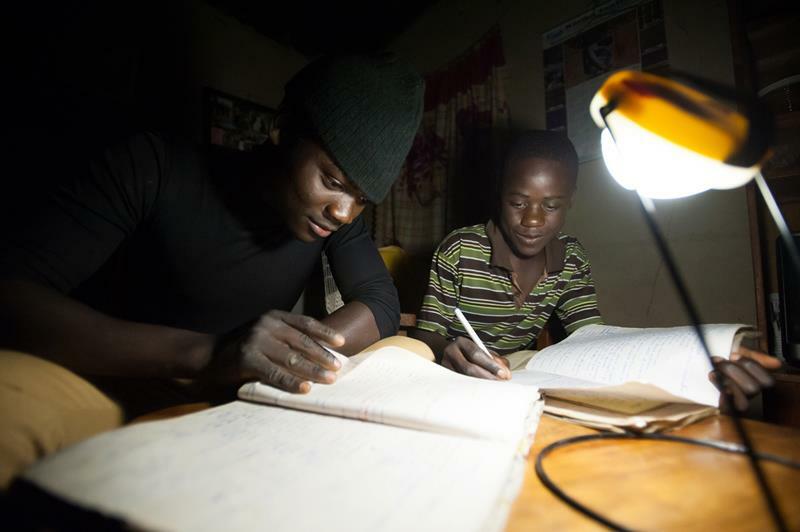 The inspiration to bring solar power to Africans who live off the grid came to Xavier Helgesen a few years ago. On a business trip to Malawi, he decided to spend the night in a small city with 30,000 inhabitants. He was amazed to see the entire city was dark after the sun went down. People carried kerosene lamps at night. When a family invited him to dinner, they all huddled around one dim indoor light.